Liverpool: Liverpool's giant step towards a first Champions League final for 13 years was marred by a likely season-ending injury to midfielder Alex Oxlade-Chamberlain that could also rule the England international out of the upcoming World Cup. 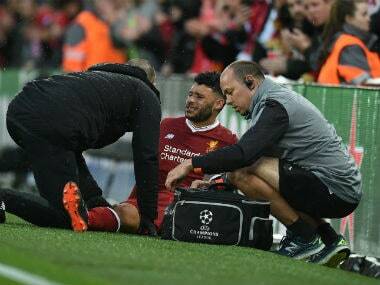 Oxlade-Chamberlain, 24, had to be stretchered off after just 18 minutes of Liverpool's 5-2 semi-final, first leg victory over Roma at Anfield on Tuesday. "The biggest blow for the mood in the dressing room is the injury to Ox," said Liverpool manager Jurgen Klopp. 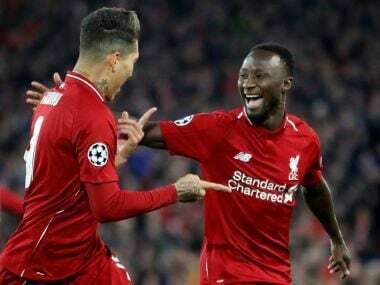 Klopp's men looked certain for the final in Kiev on 26 May when doubles from the outstanding Mohamed Salah and Roberto Firmino either side of Sadio Mane's strike saw the hosts race into a 5-0 lead. However, late goals from Edin Dzeko and Diego Perotti alied to Oxlade-Chamberlain's injury soured Klopp's mood. "It looks like this unfortunately," added Klopp when asked if the player's season was over. "That's the reason I'm not flying mood wise. We lost a fantastic player tonight." Oxlade-Chamberlain has seen a dwindling career revitalised by Klopp since moving to Liverpool last summer. 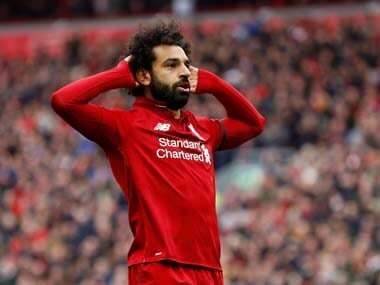 The former Arsenal man scored a stunning goal in Liverpool's 3-0 quarter-final, first leg win over Manchester City and was widely expected to be included in the England squad for the World Cup, which starts in Russia on 15 June.